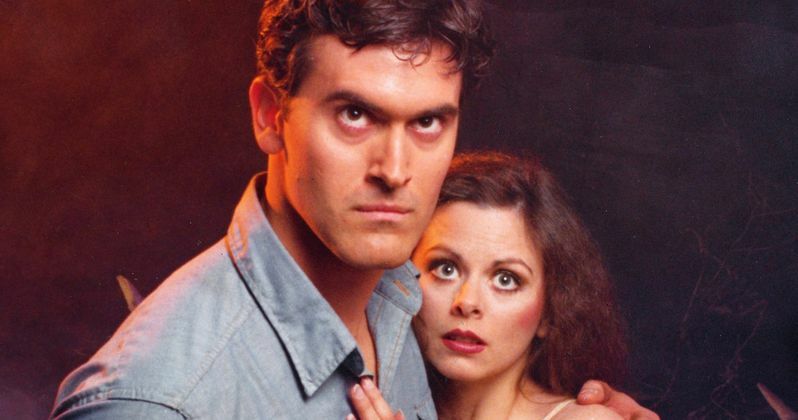 Comic-Con: Bruce Campbell Will Star in Evil Dead TV Series! On, /comic-con-evil-dead-tv-series-coming-from-sam-raimi-and-bruce-campbell/Friday, one of the bigger surprises to come out of the convention center during Comic-Con 2014 was the fact that Sam Raimi and Ted Raimi are developing an Evil Dead TV series. Sam Raimi broke the news during the secret The Last of Us panel, and at the time claimed that original star and producer Bruce Campbell was also involved. But it was not stated in what capacity. Answering a fan on his personal Twitter account, Bruce Campbell confirmed that he is going to headline the series, and even hints at his return as the iconic Ash with a piece of promo art. When the Evil Dead remake was released in 2013, producer Sam Raimi claimed he was returning to direct Army of Darkness 2 with Bruce Campbell. Its possible that this sequel is dead, or has transmutated into what will be the Evil Dead TV series. Its also possible that this is an anthology series, with Bruce Campbell's Ash starring as a Cryptkeeper sort of character. Hopefully we'll know more soon.